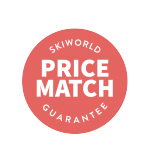 Unbelievable offers available now on ski holidays to the USA and Canada, with prices from just £1,019pp in Canada, and £1,052 in the USA. There are massive savings to be had in world-beating resorts Whislter, Banff & Lake Louise, Aspen, Breckenridge, Park City and Vail. All famous for dry powder, tree lined slopes, huge ski areas, incredible scenery and unparalleled hospitality - If you haven't skied in North America before, the time to book is now! Displayed below are some great money saving options for Banff. Use the destination and date dropdowns below to see other holidays to resorts across North America and find your perfect deal, before someone else does! When planning a trip to Canada you can save big money by booking early, with deals of up to 50% off hotels, free nights and other benefits. Visit the link below to find hotels which have fantastic early booking offers for the 19/20 season. Price Match Promise on all hotels in US and Canada resorts, if you find the same package elsewhere - let us know and we'll match or beat that price. For more information view our Price Promise page. Our fantastic USA chalets include Chalet Victoria in Breckenridge and Chalet Gleneagles in Vail and you can start searching for a deal using the button below. Read more reasons to book a USA chalet, or check out some of our discounts for 2019. See all Breckenridge and Vail chalet deals here. For fantastic savings check out our 2019 early booking offers for the USA, where you'll get deals such as up to 40% off. You can also begin your search for your USA winter holiday below.